Do you like reading books? When was the last time you read a book? I used to hate reading way back when I was single, good thing I married a bookworm husband who encouraged me to read. Now I'm enjoying it and I'm reading everything I can get my hands on. Reading is a good way of exercising our minds, and it serves as our passports and travel with our imaginations. I know you'll agree that the smell of a brand new book is a beautiful thing. You love feeling the paper as you turn the pages in anticipation of what is next. I hear you, but have you ever imagined yourself carrying thousands of books with you wherever you go? Boy, that would be insanely stressful! A couple of weeks ago, I was challenged to replace my print book with a Kobo Glo HD for 7 days – an eReader that was created to please both die-hard print book fans and tech enthusiasts alike. I admit I was skeptical at first. However, in less that seven days I became a fan! I have to say that my reading habits have changed with using the Kobo Glo HD and the Kobo reading app. 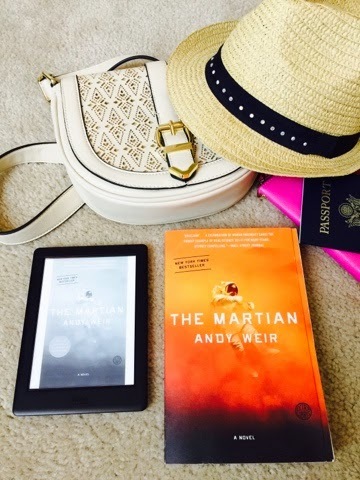 Right now I'm currently reading "The Martian". I actually purchased the book early this year and started reading it here and there, but barely made it through the second chapter. With Kobo Glo HD nothing like reading a good book. Plus, you don't have to carry a bunch of books with you wherever you go! Kobo Glo HD is lighter than most paperbacks so you can take up to 1,000 eBooks with you anywhere you go, no problem. Not enough? You can add up to 32 GB with a Micro SD card. That's enough for up to 30,000 eBooks. And since Kobo Glo HD is small enough to fit in your jacket pocket, at 114 x 157 x 10 mm (4.5 x 6.2 x 0.39 in), it's the front-lit eReader that goes where you go. This device has an incredibly clear and crisp reading experience. It's just like print on paper, only better. The signature quilt pattern is so comfortable in your hand, you'll forget you're holding a device! With a battery life of up to 2 months, you can read an entire eBook on a single charge and enjoy the freedom of leaving your charger behind. I'm enjoying this device so much and I can't wait to take it with me next month on our cruise getaway. Now I find myself reading in places I usually wouldn’t or finding it more convenient to do like waiting at the dentist office. It's very responsive and easy to flip pages and jump between chapters. Just use your finger. A simple tap or swipe lets you devour your eBooks as quickly as you want. Kobo Glo HD comes fully equipped with built-in Wi Fi so you can shop on the go. Whether you're at home or at your local coffee shop, you can connect to any hotspot and access over 4 million eBooks. That way you can start a new eBook whenever you want. I would highly recommend Kobo Glo HD to everyone! It's comfortable, convenient, compact and light. Not to mention, easy to use and very economical. For more details or would like to order, you should check out kobo.com and use this promo code to get 35% off: gregdemcydias! Don't forget to like them on Facebook or follow them on Twitter for updates and promotions. You might also want to download the Kobo App as well. Available on iOS, Android, Blackberry 10, Windows 8 or Windows 8 Phone or Desktop Computer. You can read anytime, anywhere, on any device. 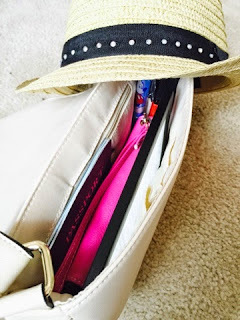 How would you like to join the Kobo Mom 2 Mom Challenge? Enter today for a chance to win one of 200 $10.00 Kobo Gift Cards. So what are you waiting for? Disclosure: I am part of the PTPA Brand Ambassador Program with Kobo Glo HD and I was financially compensated for this post. Product mentioned above was provided for FREE for product endorsement/review purposes. I am disclosing this post in accordance with the FTC guidelines concerning the Use of Endorsements and Testimonials in Advertising. That sounds like a really nice way to read. my husband reads a lot, so I think he would really like one of these. Reading on the go sounds like a dream come true. I rarely have time to read but when out I am always playing silly games on my phone. I rarely have time to read too, thanks for the giveaway. Btw, looks interest book that you read right now. THanks for the giveaway. It seems like vacation is the only time I really have to read these days. This is perfect for me. I love to read and travel. I love my Ereader for this! Knowing that I can bring lots of books with me and not have to actually pack any books is the best1 I always have something I want to read at my finger tips! The Kobo sounds really cool, especially for traveling. I would love to be able to read it in bed without the lights on so my hubby would snooze without disruptions. The Kobo def. seems more practical to carry with you. There are plenty of times I am waiting and could get in the reading I want, but I don't have the book with me! I haven't heard of Kobo Glo. But it sounds really cool. I bring my ebook reader with me every where I go. My daughter is looking to buy one. I will tel her about this. I like the glo too. There are a lot of things about it I appreciate, including the size. I'll always love the feel of a paper book, but for traveling, this works better. I have a tendency to bend pages of books accidentally, so this prevents it. I'm reading the Joan Rivers book right now. It's really good! I used to try to read outside on my iPad but gave up. An e-reader is definitely the way to go. This would make an amazing gift for my Mom! I love the screen too, it doesn't look like it can't be seen in sunlight like my Ipad. What a great item for the beach! It really is so convenient. Can't wait to get it! Being the avid reader I am I could definitely get into this. I would need it larger so I could enlarge the print my eyes being what they are. This is the first time Ive heard of Kobo but I think it's a pretty convenient e-Book reader to have. 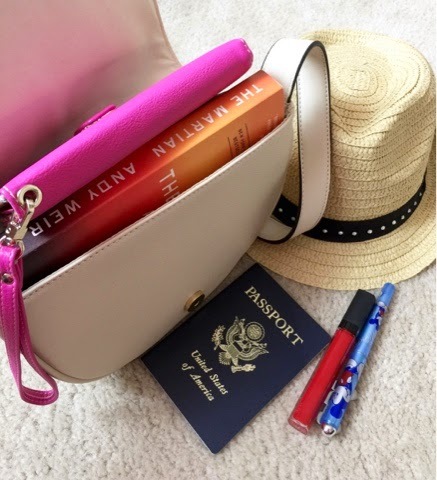 It would be the perfect travel companion for me as I love to read! I love my Kobo Glo HD. I am converted! 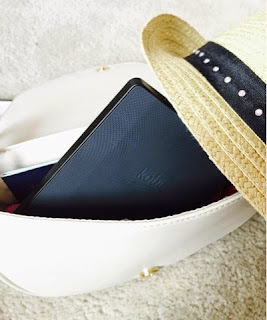 Why find space for books when you can have them all on the convenient Kobo Glo? 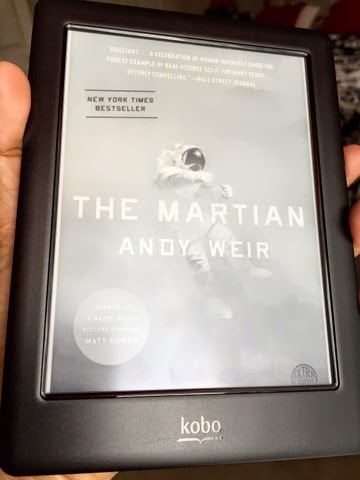 This is great for being able to enjoy a good read anywhere. I love all of the new advances that they have made for reading. Everyone's talking about these now! I'll bet I'd like one just as much as I like my Kindle! Great giveaway! I absolutely love getting my hands on a brand new book – I'm something of a book hoarder at the moment because I don't have a lot of spare time to indulge. I am a frequent buyer of Book Outlet, where you can save, save save on so many different titles. So, I've been getting my fix lately by reading reference-, fact- and 'list' books. I tried a Kobo for a while, but nothing beats a real book. I can't believe how small it is! That is a definite benefit to using it while traveling. I read a lot as well! I have been a lover of books my whole life, and I also work in a library! I am a "book" person though. I don't know if I could be persuaded to buy an ereader . Looks like a cool reader. 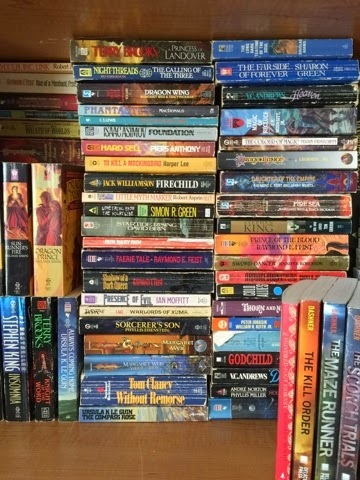 I have been reading books like this for awhile and giving away and selling my old books. Some I will never part with.